Summer’s Last Hurrah! Still Fun in the Great State o’Maine! If you’re into running, talking like a pirate (aaaarrrrgggghh! ), tall ships or stunt dogs (yes, you heard that right), then this weekend in Maine is when & where you want to be! First, for all you fitness freaks and marathon-er wannabees, there’s the annual Bangor Labor Day 5K Road Race, sponsored by the Bangor Parks & Recreation Department. Start time is 9 a.m. at the Bangor Parks & Rec Center, 647 Main Street. You can register starting at 7:45. Or you can pre-register by filling out a form you can download here. If your interests tack toward the nautical, you’ll want to check out the 2017 Camden Windjammer Festival. From the great age of sail when coasting schooners were launched in the harbor, through the birth of the windjammer business in the 1930s, to today’s windjammer fleet and elegant yachts, sailing ships have always defined the lovely, picturesque village of Camden. Check the Website for full details on the Festival, which is now underway through Sunday. And if you’re at the Festival on Saturday and Sunday, don’t miss the Pirates of the Dark Rose and their realistic pirate encampment, an audience participation Hellion Brigade, and, of course, Pirate-ed on Sunday at 4:30: learn how not to walk the plank, make a pirate map, and have a balloon cutlass made for you. Can you walk like a pirate? Talk like a pirate? Fight like a pirate? 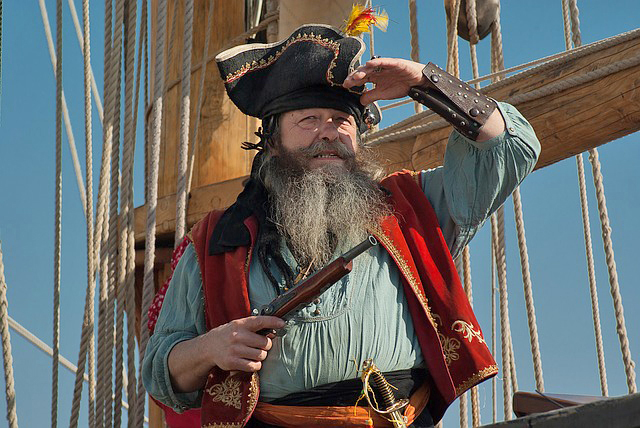 Learn everything about pirates! Avast, landlubbers! Check out the whole weekend line-up here. Finally, it’s Labor Day Weekend in Maine’s granddaddy event of them all, the Blue Hill Fair! 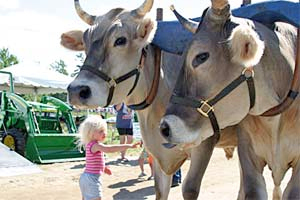 This quaint, sleepy coastal town comes alive for three days this weekend as this true “Down to Earth” country fair materializes at the fairgrounds. Take route 172 from Ellsworth or Route 15 from the Bangor/Brewer/Bucksport area. Hurry, Hurry, there’s something for young and old! Including…yes, Chris Perondi’s amazing Stunt Dog Challenge! These clever, rescued canines can flip, jump and do hand (paw?) stands. Three shows a day throughout the fair. You can take a peek at the full Fair schedule here.